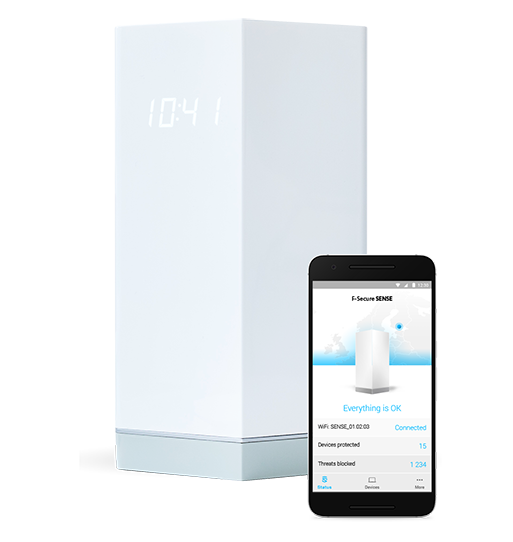 F-Secure SENSE is the combination of a smart security router, an advanced security app and industry-leading cloud protection. SENSE easily secures every connected thing in your home using one device, now and in the future. Subscription includes security features for router + internet security software. To make sure you're protected against viruses and other malware at home and on the go, SENSE comes with award-winning security apps for your computers, tablets and phones. Specifications are subject to change without notice. Indoor use only.